Painting your kitchen cabinets is a fantastic way of updating the look of your kitchen for a fraction of the cost of buying new cabinets! There are so many different colors and styles to make your kitchen or bathroom look the way you always dreamed of! 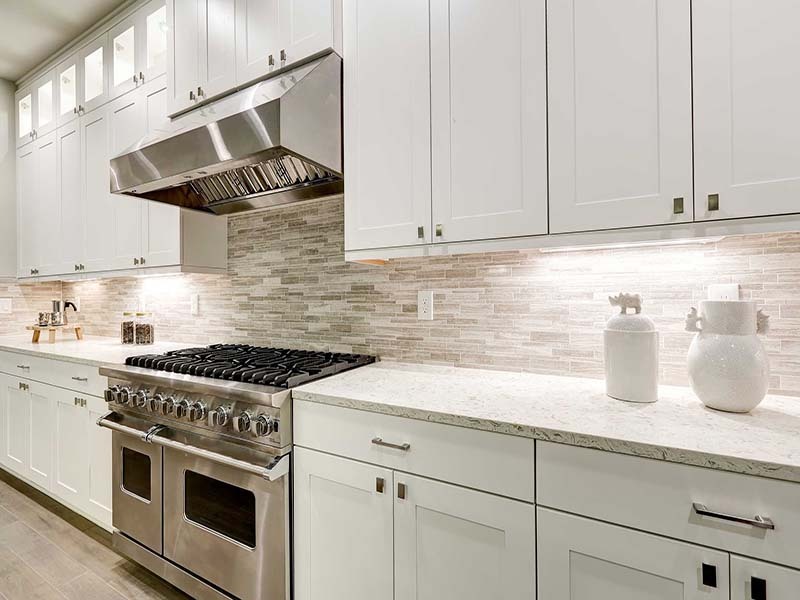 Take a look at the before and after pictures to help you imagine how painting your cabinets can give you a more modern look whether you have oak, maple, or some other type of cabinets now. and durable cabinet finish, kitchen cabinet refinishing is better left to a professional. Boise kitchen painting services performed by Spray N Coat. We have a outstanding reputation for painting and refinishing kitchen cabinets in Boise Idaho. I really wanted to update my kitchen but I hated to throw away my kitchen cabinets because they were still in good shape. Someone gave me the suggestion to have the cabinets painted. I looked online and saw Spray ‘n Coat Painting advertised interior painting, so I had Mark Enos come and give me a bid. The cost to paint was much more affordable than the cost to replace or reface the cabinets. Mark was very positive about the kind of results we could achieve through refinishing and the process he described seemed like it would create a clean and durable finished product. I was thrilled with the end result. I LOVE the color and the finish. After using the kitchen for a few weeks now, I can report that the paint is wearing great. There are absolutely no chipping issues. I added new hardware to the outsides of the doors and my friends ask where I got my NEW cabinets. Very nice finished product! I highly recommend this process to anyone who wants to update their kitchen without the expense of buying totally new cabinets. The Spray ‘n Coat Painting team that came to my house was polite and efficient. They were helpful and tried to work around my need to be at home during part of the process. Mark was fair in his bid and completed the project just as he described. The paint that was used was high quality paint and the painters were knowledgeable and experienced. I am very pleased with the work that was done and I LOVE the cabinets. The experience my wife and I had with Mark was great. He gave us a bid for painting our kitchen cabinets as well as painting the outside of our house. For the kitchen, he ended up acting as the “general contractor” which helped a ton so we didn’t have to schedule anything, he did it all! The outcome of our kitchen is nothing short of amazing. The paint on the cabinets was sprayed perfect. We look forward to working with him again on painting the exterior of our house! Thanks Mark!